Following the recent release of a Chromebox, Asus is planning to offer a pair of Chromebooks(s goog), the company’s first such devices. 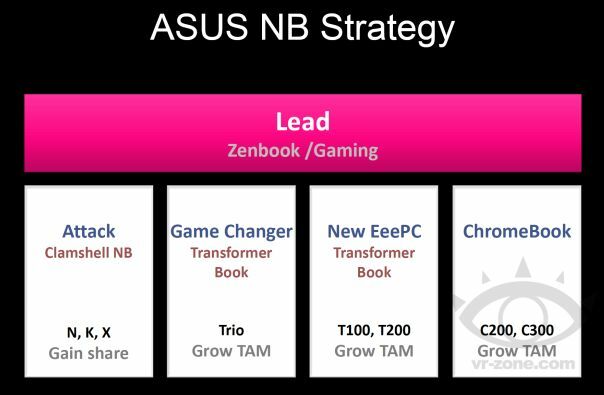 The plans are shown on a reported Asus strategic document found by VR-Zone and spotted by Liliputing. No details about the Chromebooks are available in the document except for the device models: C200 and C300. VR-Zone suggests that these two models may refer to 11.6- and 13-inch editions of the Asus Chromebooks, a reasonable idea. It’s also possible that Asus built the two Chromebooks with different processors since Chrome OS currently runs on chips from both ARM(s armh) and Intel(s intc). I’ve been waiting for Asus to build a Chromebook since it first announced its intent to enter the Chrome OS market in May of last year. Why? None of the current Chromebook makers — HP(s hpq), Samsung, Lenovo and Asus — offer laptops with removable screens. 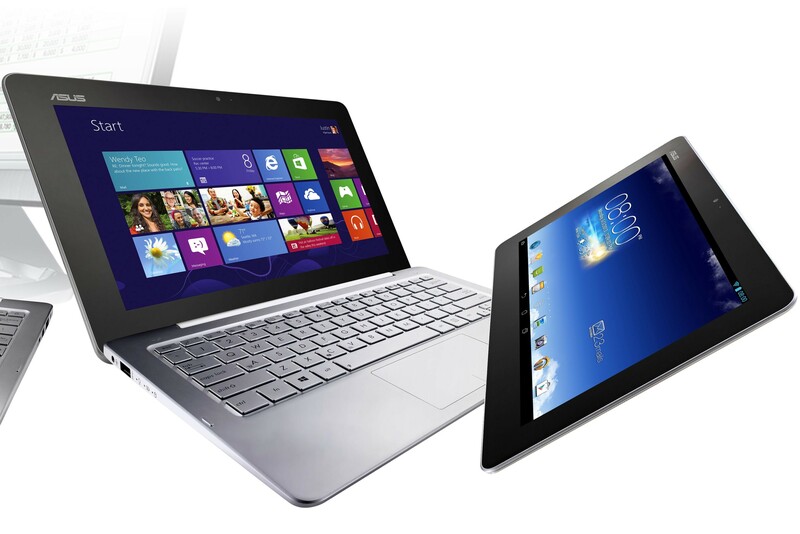 Asus has long made both Android and Windows(s msft) laptops that are actually tablet computers with docking keyboards. And while Chrome OS isn’t optimized for touch input, Google created a Chrome OS software keyboard, signaling the potential for a Chrome tablet or 2-in-1 hybrid device. I recently created my own of sorts by using the Asus Transformer T100 running Chrome in a special Desktop mode on Windows 8.1. That’s how I realized Chrome OS isn’t quite tablet-ready, at least not without a keyboard and trackpad. While you can certainly navigate around by touch, the touch inputs are a bit small and there are few Chrome apps that are built with touch in mind. As a result, Asus could simply be planning traditional Chromebooks. But if any company wants to bring a touch tablet to the Chromebook market, my money is on Asus. This is exactly what I’ve been wanting. 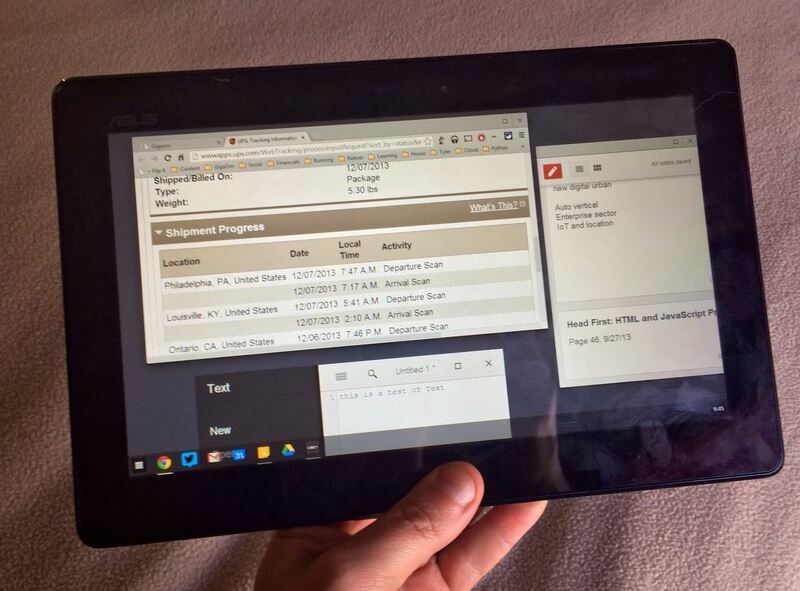 I think a ChromeOS tablet (if kept cheap) would be amazing. Chrome OS is designed with portability and ease-of-use in mind. That would make a perfect around-the-house tablet that never slows down and auto-updates.